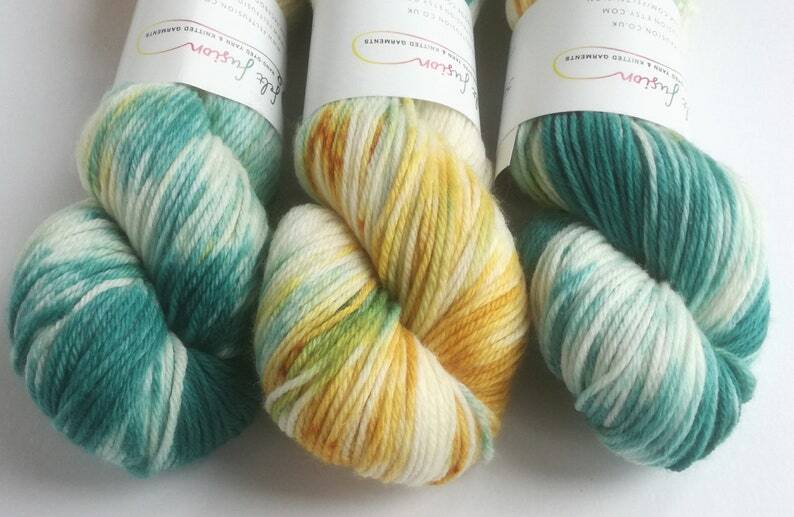 On The Beach is a variegated colourway with golds and greens on a 100% superwash merino DK weight yarn. This listing is for a 100g skein. There are 3 available at the time of listing. 100g = approx 225m/246 yards. Hand dyed superwash merino/nylon dk wool, variegated double knit. Hair Up! Pink rainbow yarn. Always a pleasure to receive squishy post from Felt Fusion. Beautiful yarn that's a pleasure to knit with. Fantastic service too. Hand dyed superwash merino/nylon dk wool, variegated double knit. Exclusive OOAK colourway in bright pink, purple and blue.